What is an integration manager? We spoke to three kind souls who help to make sure there is a good atmosphere in the dressing room spanning cultural and linguistic boundaries. Have you been away on holiday recently? You might have gone to the seaside in spain, italy, france, maybe croatia. some of you might have gone somewhere more exotic. Did you find yourself in any slightly embarrassing situations when you wished you had someone at your side to help guide you through a foreign land? Those of you who have studied abroad or spent some time working in a different country will know just how difficult it can be before you get completely to grips with the language and culture of a country. That's all par for the course for footballers these days, but that doesn't mean it is any easier for the players to work in a different country. At many top clubs in Europe, especially in Germany, it is quite common that a lot of people are employed as translators who are also able to help international players - when it comes to sorting out life's many things and also with interpersonal relations. So-called integration managers are definitely no great extravagance, luxury or gimmick in modern professional football, but rather an essential part of the game gaining importance all the time. There are currently as many as 16 countries represented in the playing ranks of FC Red Bull Salzburg's first team and youth teams, who have various cultures and religions. To help them all take part in training and gel into the team without any trouble sometimes requires the work of intermediaries, bridge builders and people with life experience to avoid misunderstandings, help out when problems arise and smooth out any signs of disharmony. Along with interpreting, teaching the German language and vocabulary specific to football, we help to integrate new players into the team, explaining our playing philosophy and tactical ideas to them, along with the culture. On the other side of the coin, we all work to make the other players aware of the culture of the new signings, as integration is a process that takes part on both sides. We also look after a lot of administrative things like banking, finance, insurance and tax matters, along with helping the players look for an apartment, deal with officials and organise childcare. It's essential that we're well informed in these areas as we advise and support our players in organising their lives as best as they can. When you have a player like Paulo Miranda who wants to go fishing, he first needs support in applying for a fishing license, learning the rules on fishing in the area or particular water, getting all the necessary gear and so forth. Dragan Radovanovic is the best known of those performing the role at FC Red Bull Salzburg at the moment. He is always at Oscar Garcia's side to translate the coach's words in TV interviews and at press conferences. That doesn't only require language skills, but also makes absolute trust essential on both sides, along with a lot of hard work and carefulness. Should just one word be misinterpreted at the wrong moment, there could be major negative consequences, which makes the work a real balancing act at times. As a child with a migrant background and good education, you are always a person people go to for all kinds of things, and that's how I came to help a lot of people who had immigrated to Austria to deal with the authorities, like my parents from Yugoslavia, or others from Turkey and other countries. I was working on things like residence permits, work permits, housing allowance, pension applications and the like. 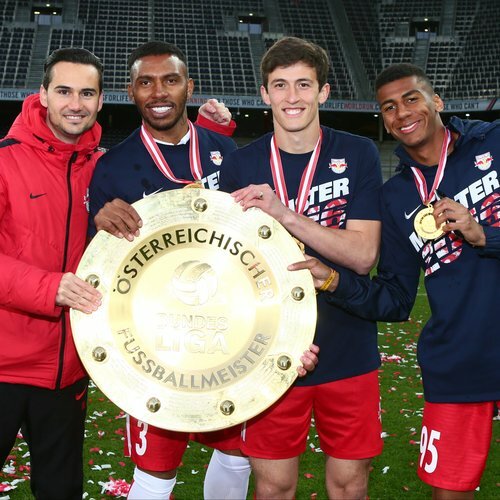 He joined FC Red Bull Salzburg is the summer of 2012 as an interpreter for Jonny Soriano to begin with, but it soon became apparent that he would be an ideal integration manager with his other qualifications. Mustapha Mesloub, who has been working with the club for 25 years, is the most senior of the integration staff and is one of the most important personalities around the club, not only for his vast experience. He began as a youth coach when working for Porsche in quality control. The Algerian's second job as a youth coach soon turned into a career, however. 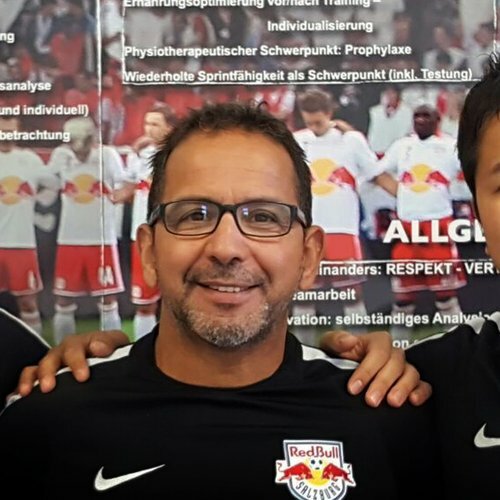 He gave up a well-paid secure job at Porsche to become a full-time coach in the FC Red Bull Salzburg academy. With his great experience, his welcoming and completely positive character, he is an indispensable communicator and acts as a social bind between the team, coaches and club. He has formed an incredibly strong bond with each of his proteges, as sensitive players like Sadio Mane, Naby Keita plus Dayot Upamecano and Diadie Samassekou (to name just a few) need a familiar environment and the support of some friendly faces - also off the pitch. It's not for no reason that Mustapha says vital parts of his job description are being a good soul and acting like a dad! When our players aren't there - if they're away with their national team, for instance, then we are still here with the rest of the team at training, as we are there equally for everyone to help when someone needs our support. Only when our players have their minds clear and don't feel like they are alone can they perform well on the pitch, after all. There are often situations where we need to solve a problem in the group, and that can only happen when we are close to the team and every individual player. We work like motivators, mediators and intermediaries. One of his proteges is Dayot Upamecano, who is among the most in-demand young talents in Europe and has been scouted by big-name clubs. His parents decided though for him to play in Salzburg as they were convinced that their child wasn't only in good hands when it came to football, but also had everything that is needed to support him to develop personally. You have to imagine that you are coming to a foreign land like Dayot did aged 17 without your parents, friends, without the ability to speak the language, and without the experience of life that you might need to find your way in a foreign society. Without any help, that kind of player will soon feel lost and won't be able to perform as well as expected. For a lot of players who end up like that, as their chief motivation was perhaps just to earn a lot of money, it is the phase that determines their career. 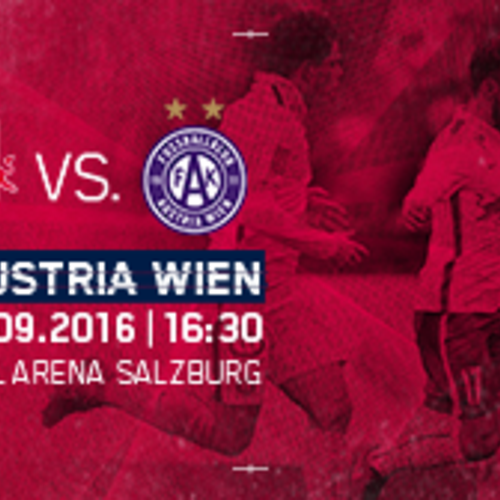 For Dayot, his footballing development was decisive in joining Salzburg, and we help him to feel happy here. When I came to Cologne I didn't know a single word of German, and I learned the language working with the children on the pitch. I still find it hard with written German, but as a football coach I know the football terms really well, of course, which is extremely important for the job here in Salzburg. 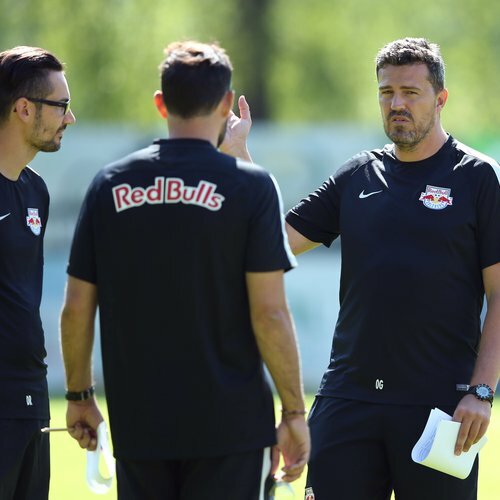 A personal contact introduced him to Red Bull Salzburg a little over a year ago and Christoph Freund offered him the job as an integration manager at the Red Bulls. Yuki also works for the club in scouting. Asian culture is very different from western culture - not only when it comes to food and language, but also in terms of individual character. The biggest difficulty in my work often comes not so much in the field of language but rather with the fact that my proteges - Takumi, Masaya and Hee Chan - find it hard to display emotion, as it is instilled in people in Asia not to. Masaya is still very shy, has great difficulties talking about a problem and keeps his feelings deep inside him. That can be problematic for a football team, so I try to tell him that it's okay and good to share his thoughts and doubts with the coach and his team-mates. Hee Chan Hwang is a truly extraordinary and highly disciplined character, as he has learned to speak remarkably good German in a short period of time, and only really needs my help in the private sphere. He is very independent though, and has found his way well both with Austrians outside the club and in the team. We always talk about them as players, but first and foremost they are people who come here from a foreign country and have to get used to everything first - to the food, climate, mentality and culture etc. We help where we can to make them feel at home as soon as possible and make sure they don't have to worry about anything. 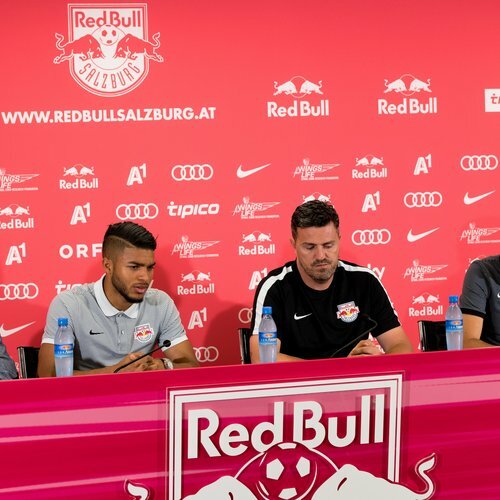 Dragan, Musti und Yuki are a trio of good souls at FC Red Bull Salzburg who the club and the Red Bulls' team spirit would not be the same without. With their work they aim to smooth over changing life circumstances, societal change and new challenges - the kind of issues that the whole of Europe is facing due of recent migration. Integration is becoming more and more important to everyday life. Our three integration managers have showed quite impressively how successful integration into working environments and the larger community can be managed - it's not just on the pitch, after all, that our club wants to lead the way. we would like to take the opportunity to thank Mustapha, Dragan and Yuki, as along with their qualifications they bring empathy and a sense of humanity into our team that money simply can't buy - and you can't learn at any school.